Bathroom organization can sometimes feel impossible. 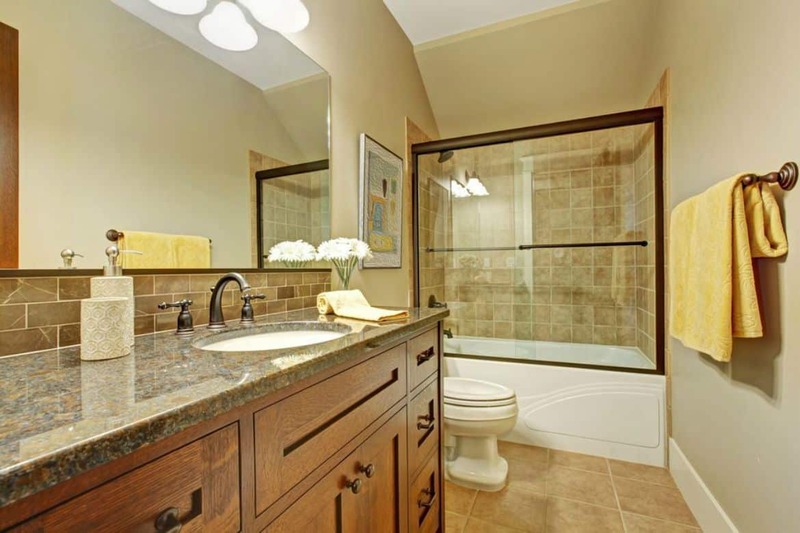 With all the toiletries, linens, and beauty products, the bathroom out of all the rooms in the house can get cluttered within minutes. One easy way you can declutter your bathroom fairly fast is to throw away unnecessary items that are going to not only free up space in your bathroom, but contribute to making everything nice and organized. Now to keep it that way, right? Quick tip: spend five minutes everyday picking up your bathroom and hopefully you won’t end up with a horribly messy bathroom at the end of the week. Be sure to follow my Organizing Board on Pinterest for even more ideas! Okay, now on to banishing clutter in your bathroom! Here are ten things you can throw away without even thinking twice about! 1. Old and tattered bath towels and washcloths. 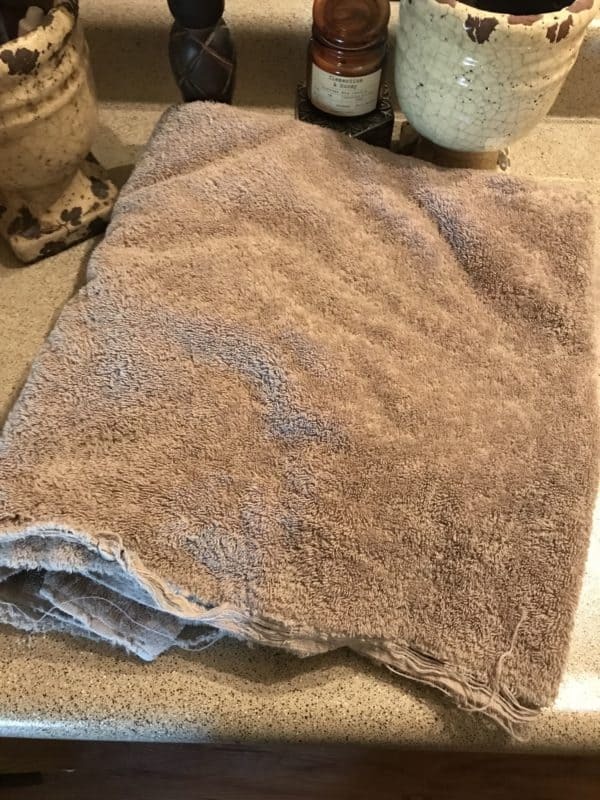 If you have a stock pile of towels and some are starting to look a little shabby, get rid of them or repurpose them into rags if you like. If you are cutting costs and using your towels until they completely fall apart, by all means do what works for you! 2. 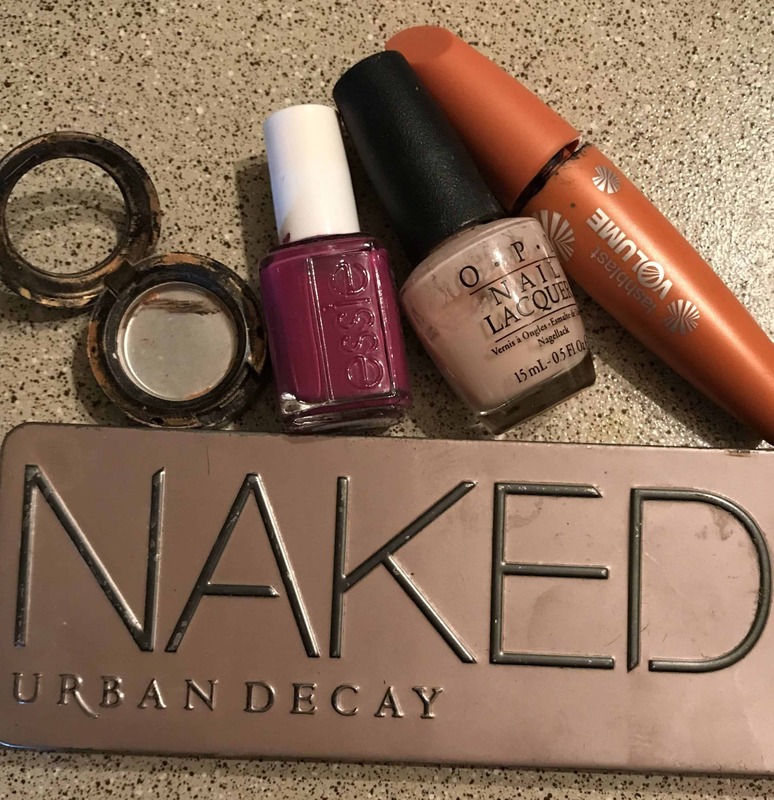 Expired, old or unloved beauty and makeup products. Some beauty products have expiration dates on them and if they are past the expiration, just toss them. Be especially wary of old makeup, it can be a breeding ground for bacteria…yuck! If you’re wondering how long you can keep your makeup for before having to throw it away, be sure to check out this article. Also, if you just have some makeup that has been cluttering up your space and you don’t like, just get rid of it. Or better yet, check your receipts for the return policy. Some beauty stores offer returns if you don’t like the product, even if it has been opened. 3. Empty bottles in your shower. Empty shampoo, conditioner and body wash bottles can really clutter up the inside of your shower. Some people have empty bottles sitting in there for weeks…crazy right? I have of course never done this (wink, wink). Just throw them in the trash, it really doesn’t take that much effort at all! 4. Disgusting plungers or toilet brushes. Now these items are basically kind of yucky to begin with because we have them in the toilet. But, if your toilet brush is turning different colors or smells like mold, it’s time to cave and buy a new toilet brush. 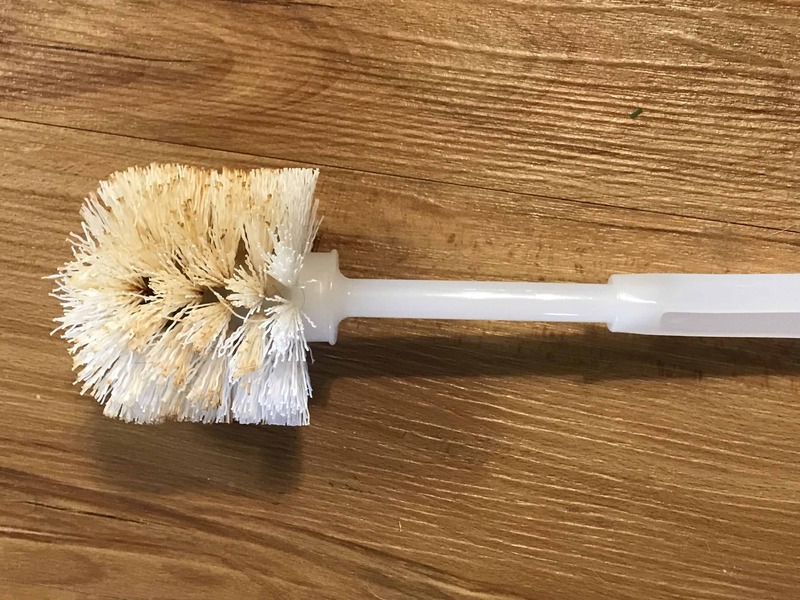 If your plunger is falling apart or again has a funky smell, it’s time for a new one. 5. 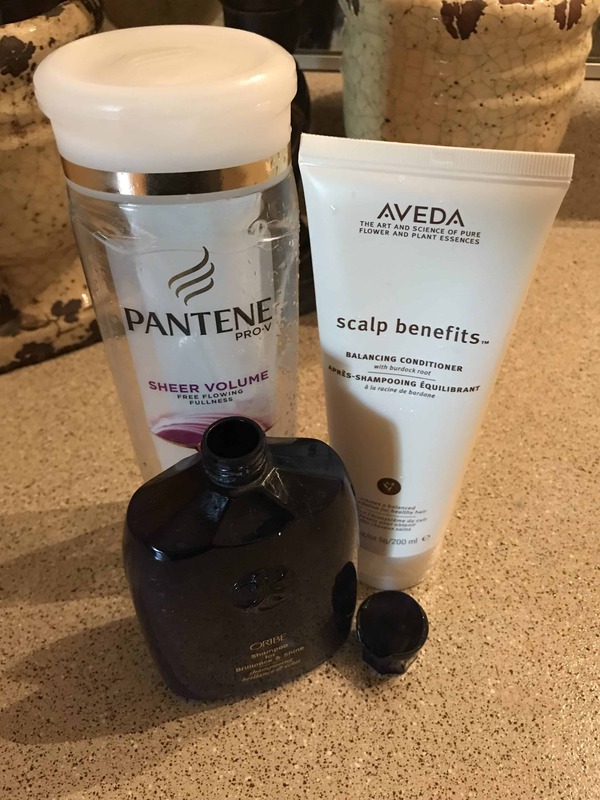 Small product samples or hotel shampoos and conditioners. 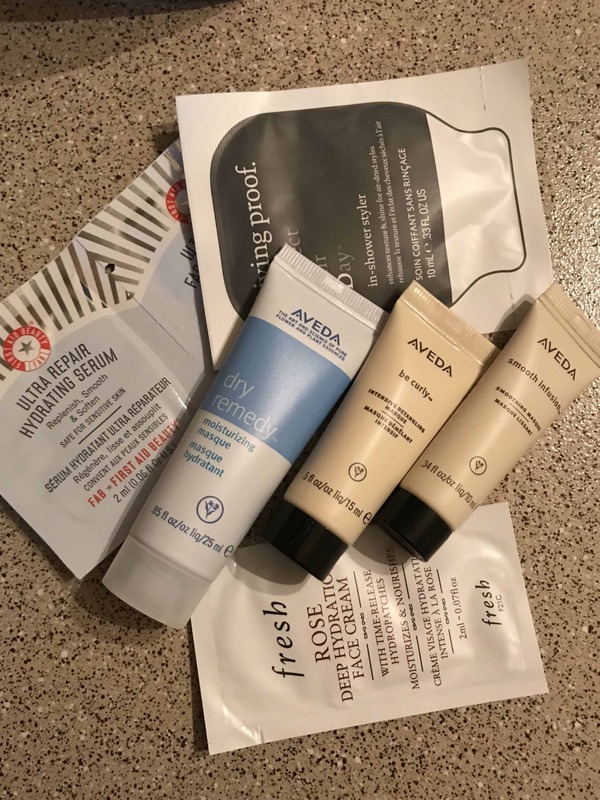 If you have tons of little samples or mini products from hotels that you think you will never use, it is best just to throw them away or give them to someone. Better yet, Amy, one of my clever readers, commented below that she gives her samples and hotel sized products to homeless shelters. She also makes care packages with them (you can read her comment below for all the items she puts in the packages). Then, if she sees someone in need, she gives them a premade care package she keeps in her car. This is a fabulous idea and a great way to help someone else out! If you do like to keep these for various reasons like guests coming over or traveling, I suggest you keep them in a baggy all in one place and try to pair it down to only what you need. Tooth brushes don’t last for years, they start accumulating gunk, mold and bacteria. According to this article from WebMD you should toss your toothbrush about every 3-4 months. 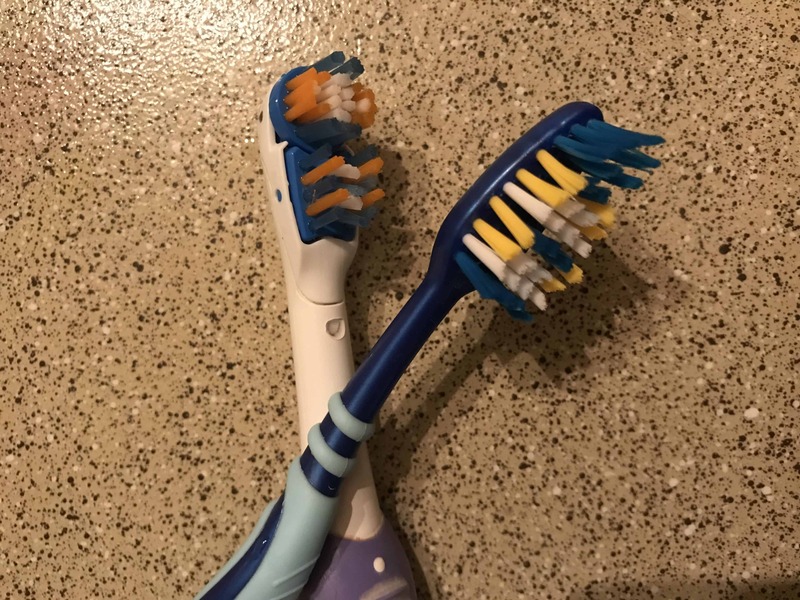 I don’t toss my old tooth brushes, instead I use them to clean grout or hard to reach spots in the shower. 7. 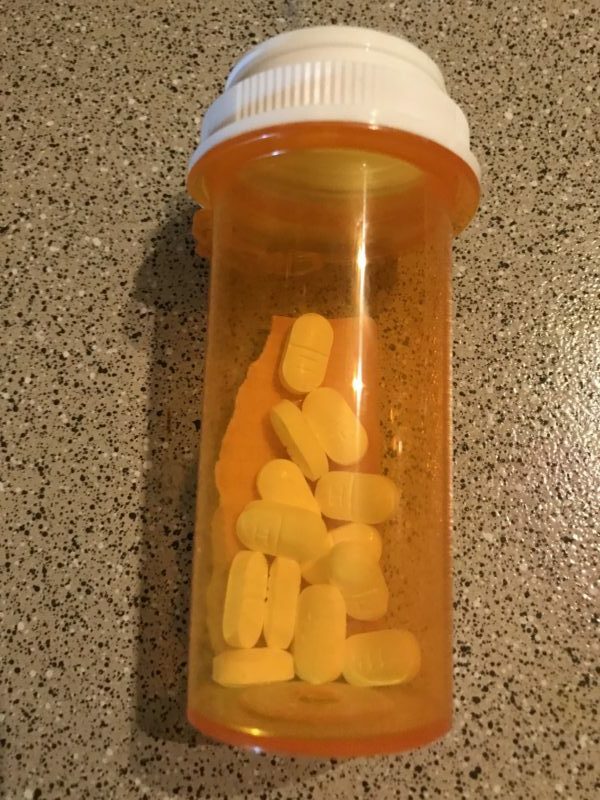 Expired medicine and prescriptions. Many people keep their medicine in the bathroom. Be sure to check all the expiration dates from time to time. A little side note if you keep your vitamins and supplements in the bathroom, you might consider storing them instead in a cool, dry place because the moisture can make them less potent. 8. 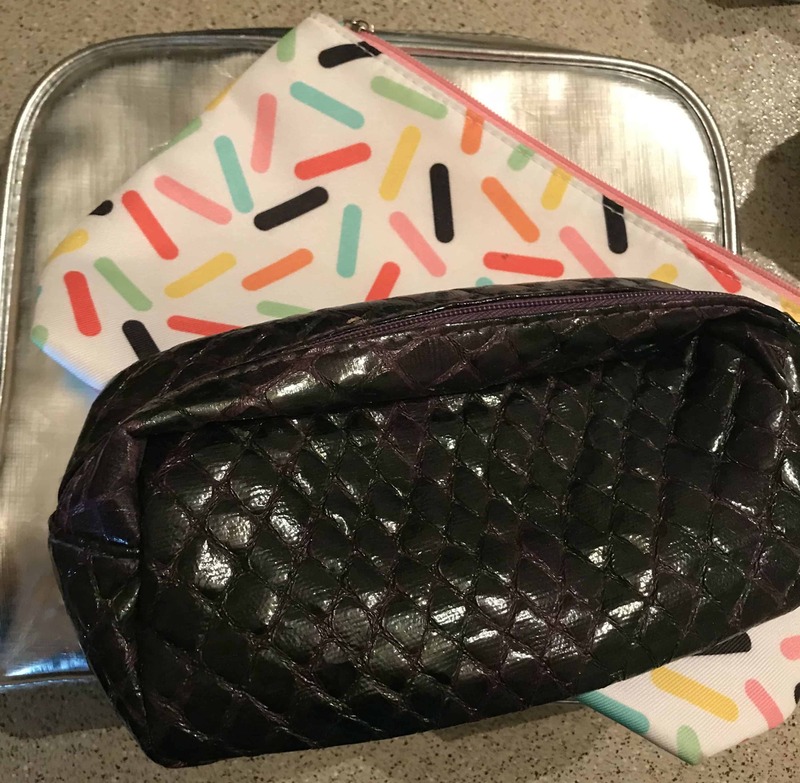 Old cosmetic bags or ones that you just don’t use or love. If you’re like me you might have a lot of little cosmetic bags laying around. Many times they’re from purchasing makeup and included in a free gift. Usually they aren’t to my taste, I have many anyway and they sit there unused. If they are unused or in good condition, donate them. If not, you know what to do! This one in theory seems like it should never be an issue if you just throw away empty packaging from products or toiletries as you go. 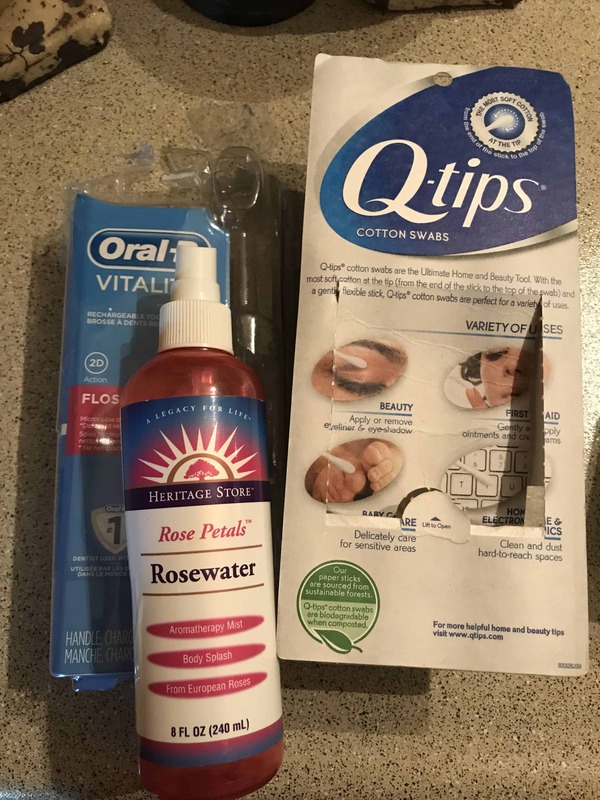 For some reason, for many people (me included), an empty box of q-tips or packaging from products never makes it to the trash. This stuff just piles up and creates a mini mess in my cabinets. Just throw it away, and better yet, make a conscious effort to throw it in the trash as soon as you unpackage your item. I have to work on this one too! 10. Worn out or unplayed with bath toys (or bath toys the kids have outgrown). For those of you with little kiddos, it’s quite easy for your bathroom to start looking like a playroom, with tons of toys littering the area by the bath. 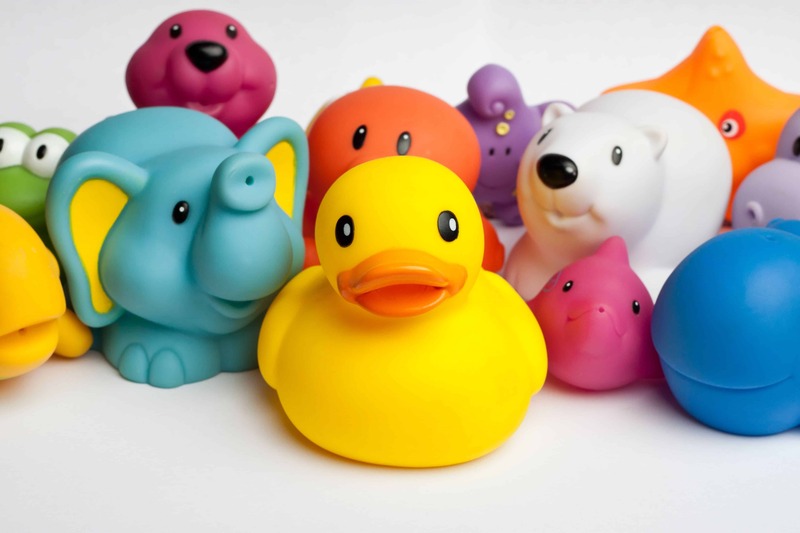 Go through and throw out old, outgrown or unplayed with bath toys. Also, invest in a container or organization system to hold all the toys. Really liked this post! Thank you. Just a quick note on sample and hotel-sized/travel sized items – give them to a homeless shelter or make care packages for homeless folks that include them. Since these folks have to carry everything with them, small bottles are much easier to store and carry. And since many people are uncomfortable giving money to the people asking for help, you can make care packages using old purses, backpacks, cosmetic bags, or just zipper bags and include the small bottles, travel-sized items (esp soap, shampoo, deodorant), warm socks, feminine products for women, granola bars, candy, etc. Then you can keep these bags in your car for when you see people standing on corners or highway exits. Not only do you get to help someone in need, but you get to feel like the clutter you would have tossed has a purpose (which can make it easier to declutter)! Hi Amy. This is a wonderful idea and a great way to help someone in need! I revised my post and added your idea, thanks so much for sharing!